Le Cordon Bleu College of Culinary Arts — Valerio Dewalt Train Associates, Inc. Le Cordon Bleu College of Culinary Arts offers a comprehensive training program based on classic techniques that leads to a professional degree in Culinary Arts or Patisserie and Baking. Each regional campus contains a public restaurant run by students, lecture classrooms, demonstration labs, multiple teaching kitchens with commercial grade equipment, a library and various administrative offices. 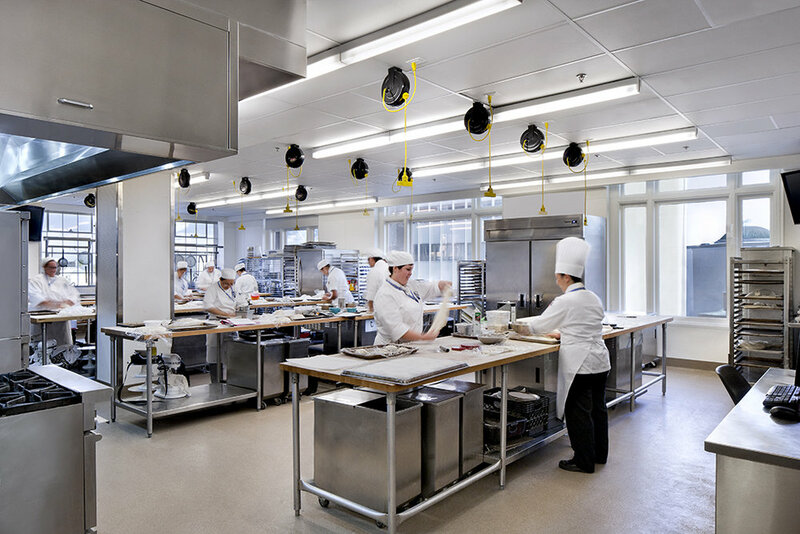 With the intent to unify the curriculum and update teaching facilities across the country, CEC asked Valerio Dewalt Train to help them plan, manage and implement a renovation program for all Le Cordon Bleu campuses. Since it was critical for the schools to remain open for classes year round the project team had to become creative with the construction schedule and phasing logistics. By the end of the unification program, all 13 schools across the country were successfully modified. Depending on the location, project scope ranged from updating finishes to full scale additions.